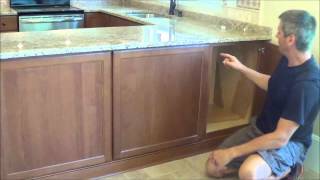 Video shows how a filler can be used to close in a gap over the fridge when standard height fridge cabinets (3" increment heights) are used. 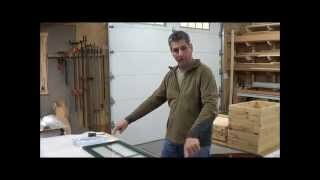 This video is an update to our recent filler pull out video. 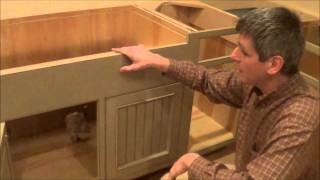 It shows how these units CAN be used at the end of a cabinet run. 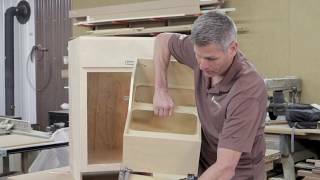 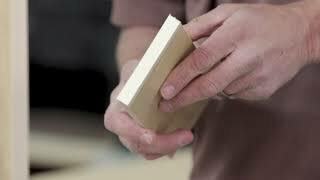 This video illustrates things to be aware of as you install your base cabinets: corner clearances, counter support, etc. 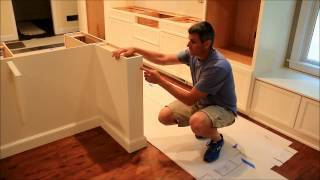 This series of videos shows you the basics of planning your installation: Striking level lines, stud lines, marking cabinets, etc.